As anyone who has been away from a loved one can attest, the more you buy the more you are thinking about them, am I right? At least that’s what we told ourselves every time we bought something for Elodie. Actually in the end it seemed like we bought more than we actually did. So that’s good, at least for our wallet. 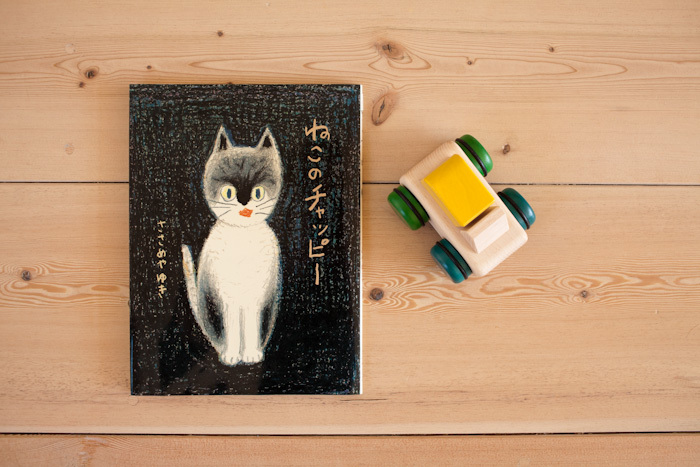 A book about a cat (we surmise). A wooden car that plays music when you move it. This happened. 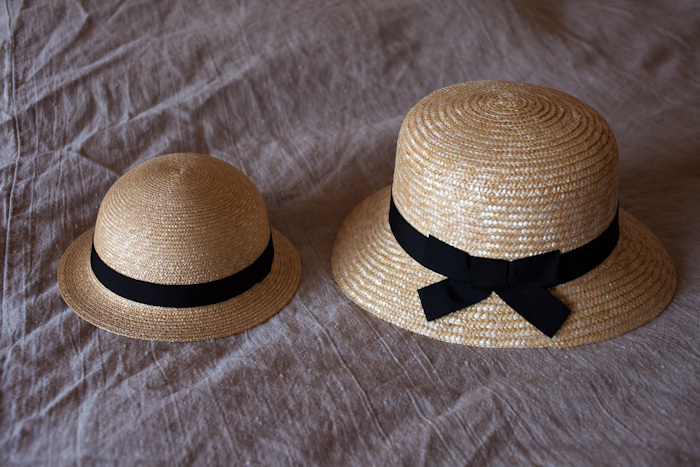 Mother / daughter hats. Couldn’t help myself. 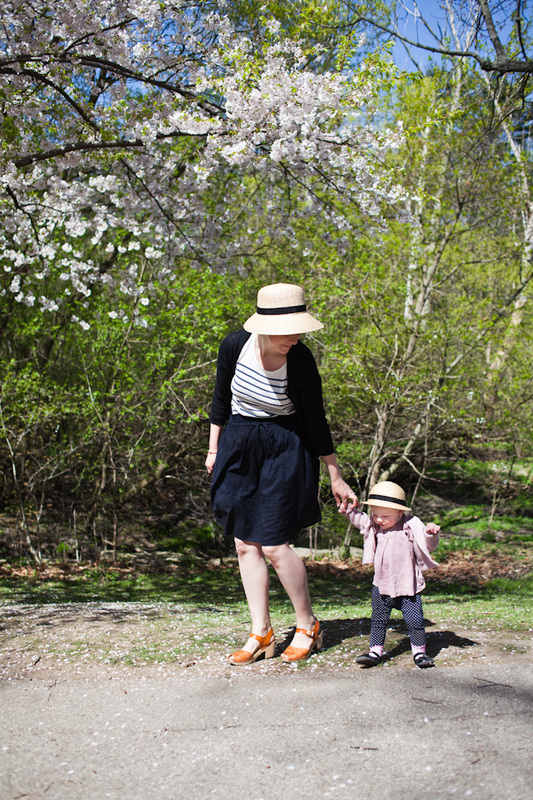 Last year we went to see the cherry blossoms in High Park. 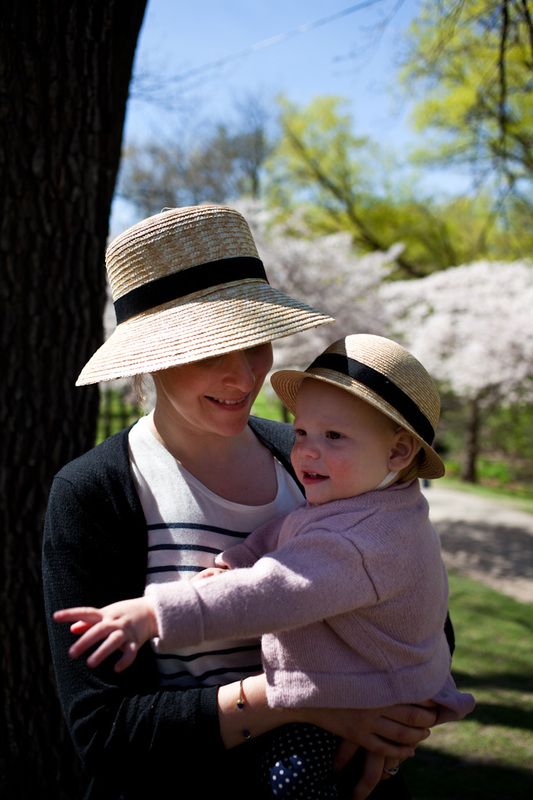 It was about a week after Elodie was born and she was asleep in her car seat. This time proved more difficult with a toddler. It’s just so amazing how much they change in the first year. From tiny blob to fully mobile and four times the size. 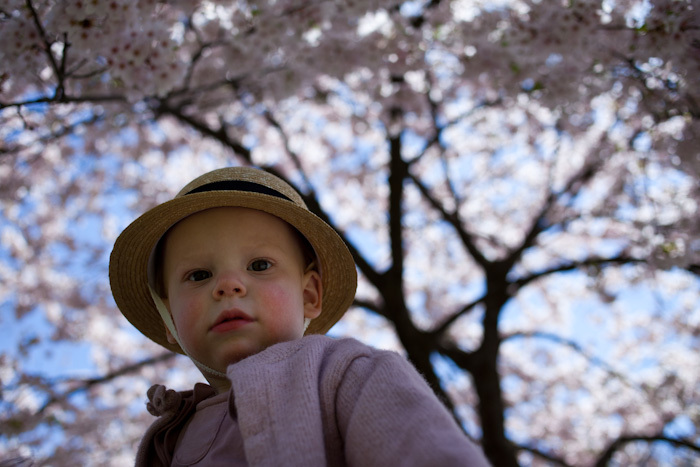 Elodie became more preoccupied with pushing her stroller around than looking at the blossoms. « Hey, we went to Japan (again)!